Everyone ought to find something in life that they can feel proud of, and take pride in. It’s really important that the choices we make as people are ones we can be proud of. Granted, most of us don’t have the luxury of making whatever choices we’d like – due to things like class, gender, race, and such – but when we get the chance to make a choice, we have to make it one we can be proud of; one that makes us feel good about ourselves. The best players on and off the pitch are ones who can take pride in the club they play for, from enjoying the experience of involvement with that club, and feeling proud to pull on that team’s shirt. In an age where so many players at a professional level are shipped about, and bought and sold like cattle, the disconnection between players and the club and its community is greater than ever. 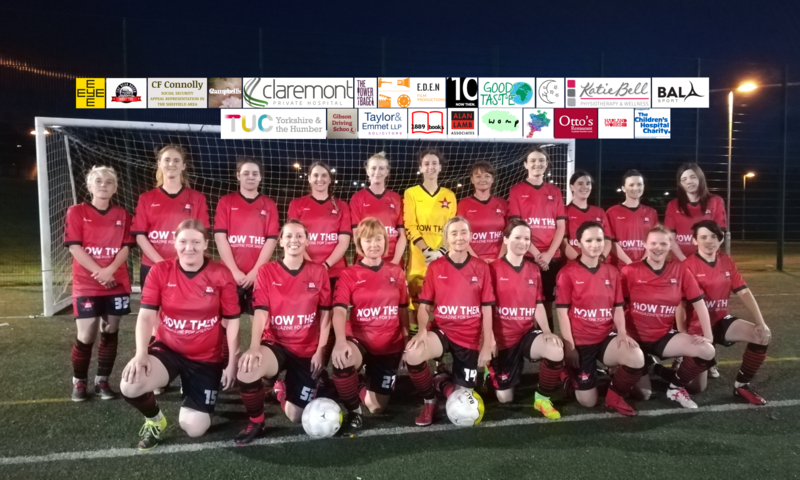 But even at grassroots level, where so many women’s teams are an afterthought or a tag-on to an established men’s team, too many women find themselves wondering what makes them play for that team, other than having friends there, or it suiting them in terms of time or location, which in itself fine – but ideally, it should be about much more than that. It should be a team, a club, that you can be proud of; that you want to play for above all others. I take pride in AFC Unity, and there is no other team on earth I’d rather coach for, or manage, because it’s about football with an ethos I believe in. Ideally, I expect others involved to share similar passion for it. 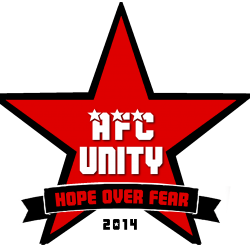 AFC Unity exists and thrives because it’s about the results off the pitch as well as on it. Aside from keeping things in perspective – and keeping players level-headed – this all takes place because it reflects our vision, and values – of being part of the local community, and helping that local community. The football philosophy we have – which will have its own special section on this website soon – means that the approach to games and training sessions actually makes the soccer reflect the ethos, whether it means rejecting cheating and dishonesty, or standing up for what’s right no matter how hard it is. This is called “integrity.” That’s our motto. That’s on our badge. And these things are what that badge represents. It’s no secret we have attracted an incredible amount of women to AFC Unity partly because of this ethos and the “brand,” and at the moment we are devising more and more ways for women of different ages and abilities and backgrounds to get involved in playing football to keep up with the demand we’ve provoked. But as we create more training sessions, and more teams, it’s also important to remind players that an “alternative football club” isn’t just about the positive ethos meaning it’s a safe, friendly environment where you’re not going to be doing army camp “drills” or get shouted at for making a mistake. It’s also about seeing that this can only exist in the spirit of solidarity that AFC Unity represents: sticking together, and helping the community. So, as we approach the end of our second-ever season and move closer to the break, I’ll be asking myself what players want to represent that the most, what players represent us the best, and who believes in and buys into what we’re all about. Because there are plenty of other clubs out there – huge, professional, profit-driven companies that too often treat women as money-making tokens – and I want people around me who reject all that, prove they believe in a better world, and players who take pride in pulling on that red shirt, and wearing our badge, as one of our “Red Stars.” Because we’re about so much more than the beautiful game we play. And as so often in life – based on the choices we get to make – what you give is what you get.